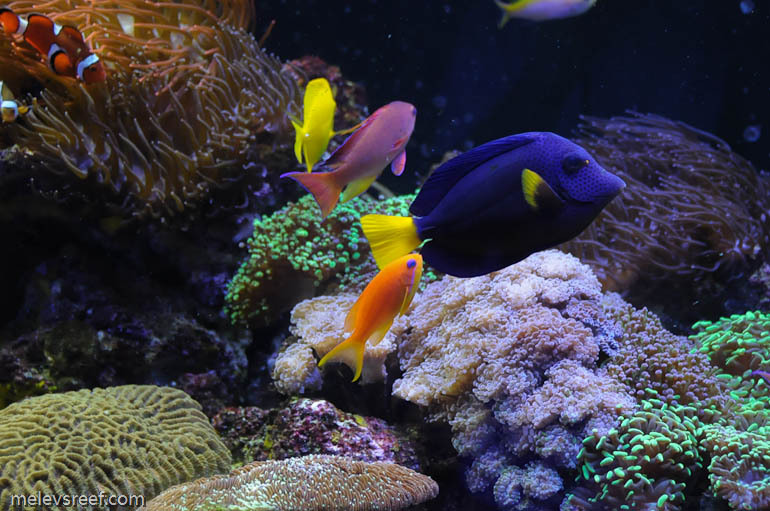 Iodine and Strontium are recognizable, but Bioptim, BioDigest and Reef Booster not so much. Bioptim adds micro-nutrients to the tank, which BioDigest consumes...BioDigest is a bacteria designed to consume nitrate, phosphate and organics. Reef Booster is very fine food (nutrient supplement) in liquid state. Regularly adding new bacteria is especially useful when running NP biopellets, and Prodibio fills this need nicely. As you can see, I have five different choices. Prodibio comes in different sized glass ampules, from Nano to Pro version. 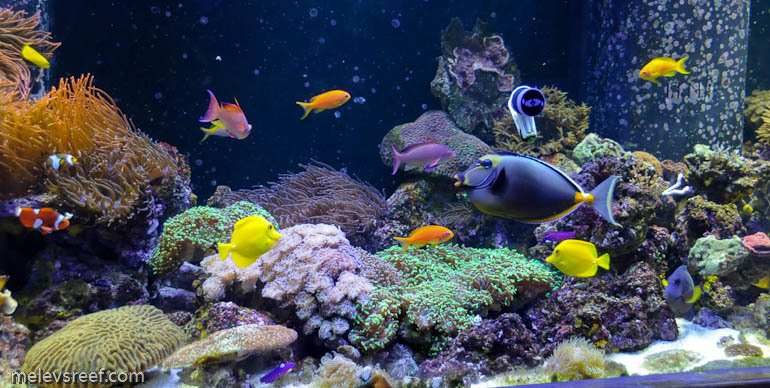 The sizes allow hobbyists to match the right dose to fit their aquarium's total water volume in gallons. Nano vials are rated for 15g, standard ampules for 50g, and Pro ampules for 250g. No matter what size tank you own, Prodibio has the right dose for you. The dosing regime listed on the packaging is very simple. 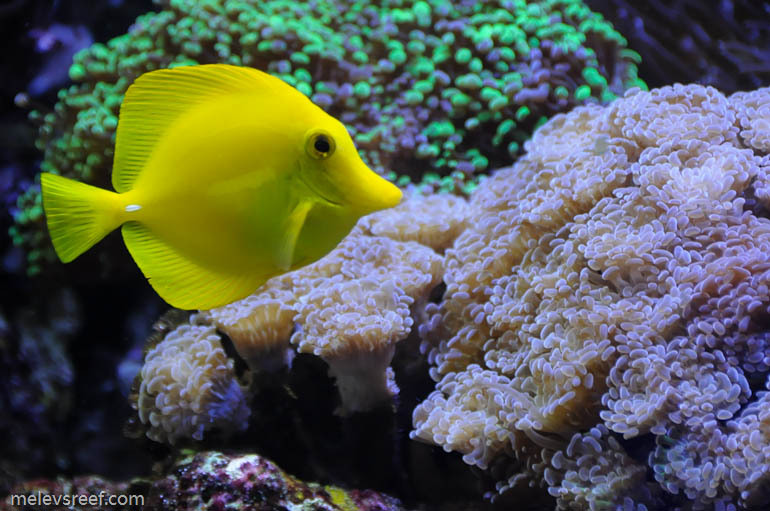 Dose every 15 days to replenish what your reef consumed. Standard vials treat 50g each; the Pro version treats 250g to 500g each. Nano vials (not pictured) treat 15g... some packaging indicates as much as 30g while others suggest two vials for 30g. You'll want to research that point, nano-owners. When I dose, I do it all on the same day. I prefer to add the product directly in the sump's bubble trap baffles where flow is good and quick to distribute the fluid into my reef. To avoid mistakes, I pull out all the vials I will use that day, making sure they are on a stable surface to avoid accidental breakage (like rolling off the table). The recommended dosages are listed on the back of the packaging, but be sure to double check the instructions of each individual item. I say this because if you were to purchase the BioKit Reef [pdf] with all five items in a single box, the instructions make it sound like all ampules are matched perfectly. Be sure to compare equal sized packages to one another to avoid overdosing mistakes. Standard ampules and Pro ampules obviously different, as are the Nano vials. The packaging doesn't denote any kind of expiration date, and these can be stored at room temperature. The vials are sealed with an inert gas within to avoid spoilage. If you refrigerate it, be sure it is brought to room temperature before adding it to the tank, because that type of sudden change will likely reduce Prodibio's efficacy. Chilled bacteria at 42F added to 80F water -- do the math. You'll notice that the ampules come with a small piece of rubber tubing in every package. This is the holder used to break open the glass ampules. Shake the vial for a few seconds prior to cracking it open. This brief video shows you how easy it is to add. Remember I add it to my sump instead of a sudden dose hitting any one coral or fish full force. Once the vial is empty, I submerge it in the sump so it fills with saltwater and lift it out to drain the fluid including any remaining residue into the water. Reef Booster I handle a little differently. I like to dose that late at night after lights out. 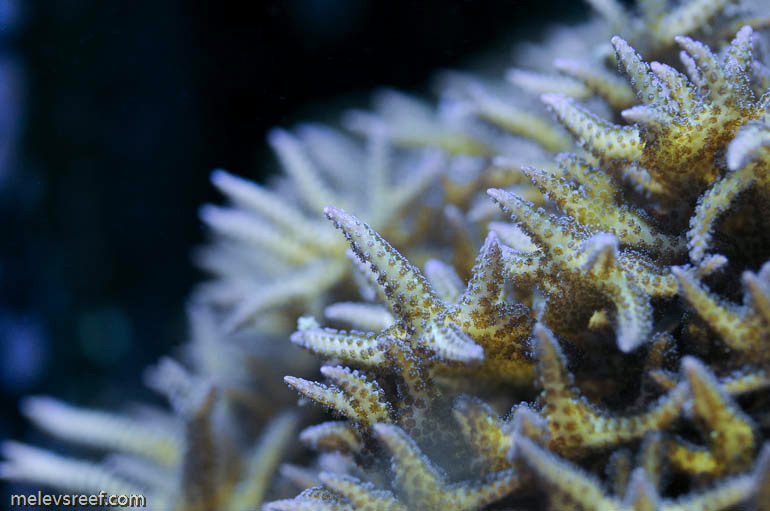 My corals are usually open at that time, feeding polyps and tentacles extended while the fish are at rest. Turning off the skimmer for the night, I'll dose three or four ampules of Reef Booster. The vial will still have some milky residue inside, so I'll dunk and drain it several times until it is clear. No reason to waste any, right? The next morning, I'll turn the skimmer back on. I only have this in standard ampules, so I'm using four instead of one Pro version. Once done, the glass tubes and the broken tips can be thrown in the trash. The plastic packaging can be recycled. So there you have it, a dosing regime that takes little time, doesn't require careful measuring and can be easily added to your calendar for those bi-monthly duties. If you are attending MACNA from September 28-30, 2012, be sure to visit with Nicolas and his team to ask your questions. They are making the trip from France to provide answers from the source, their own mouths.